HPCL invites bright and dynamic engineering graduates in specified disciplines aspiring to join its team of world class professionals.Interested candidates are required to appear for GATE 2017 in their respective discipline. 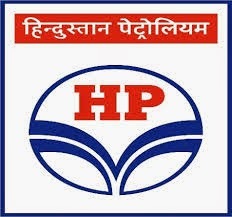 About HPCL: HPCL is a Fortune 500 company, with an annual turnover of Rs. 1,08,599 Crores and sales/income from operations of Rs 1,14,889 Crores (US$ 25,306 Millions) during FY 2009-10, having about 20% Marketing share in India and a strong market infrastructure. Qualification : B.E/B.Tech ECE,EEE,Mech,Civil,Instrumentation. Candidates should have passed qualifying degree examinations and awarded bachelor’s degree in engineering/technology in the above mentioned disciplines. All the qualifications should be 4 years full time regular course/s from AICTE approved / UGC recognized University/Deemed University. The courses offered by Autonomous Institutions should be equivalent to the relevant courses approved / recognized by Association of Indian Universities (AIU)/UGC/AICTE. Candidates (belonging to General and OBC-NC category) should have secured minimum 60% marks (aggregate marks of all semesters) in qualifying degree examinations, relaxed to 50% (aggregate marks of all semesters) for SC/ST/PWDcandidates. Candidates currently in final year of their engineering studies may also apply. Age limit: 25 years as on 30th June 2017 for the general category candidates i.e. candidates born on or after 30.06.1992. Fee : Rs. 265/-(Application fee inclusive of service tax and bank charges of Rs.35/-). SC, ST & PWD candidates are exempted from payment of application fee.